Mister Rogers arrives with the kazoo he was recently given by Joe Negri. Talking about about vibration, he shows how vibration can be felt in the body when a person talks. In the kitchen, he gives other examples of vibrations including the pump in the fish tank, the refrigerator motor, and clapping. Before singing Look and Listen, Mister Rogers explains that people who are deaf often learn to understand through their hands and their eyes. 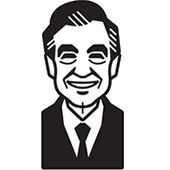 At Negri's Music Shop, Mister Rogers sees a variety of musical instruments that make sounds based on vibration. Mr. McFeely delivers a pair of cymbals to add to the demonstration. In the Neighborhood of Make-Believe, King Friday XIII is using a telescope to watch Professor Scanlon from the castle. Based on the teacher's friendly and gentle behavior, King Friday decides he would like to meet the Professor for a conversation in the castle's C Room. Back at the house, Mister Rogers talks about how feelings are often clear through facial expression -- even without words. He concludes for the day by singing I'm Taking Care of You and mouthing the final words without singing out loud. 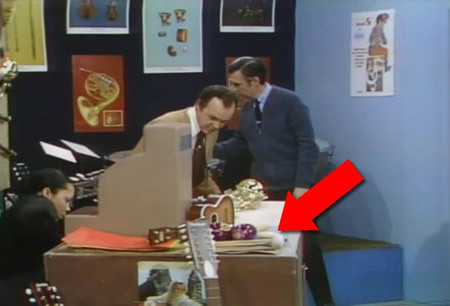 Mister Rogers arrives with the kazoo he was given by Joe Negri in Episode 1367. Look and Listen plays in the background as the episode transitions to Negri's Music Shop. Bob Dog and Lady Aberlin dance to I'm Proud of You in celebration of the King's meeting with Professor Scanlon. Based on what she could hear of King Friday's conversation with Professor Scanlon, Lady Aberlin reveals that King Friday used to be a pole vaulter. Joe Negri and Debbie Neal cannot find the proper mallets to demonstrate the timpani and settle for using regular drum sticks instead. The mallets can be seen on the other side of the cash register. Tim Scanlon appears courtesy of the O'Neill Center's National Theatre of the Deaf. The NTD receives basic funding from the Office of Education, Department of Health, Education & Welfare.